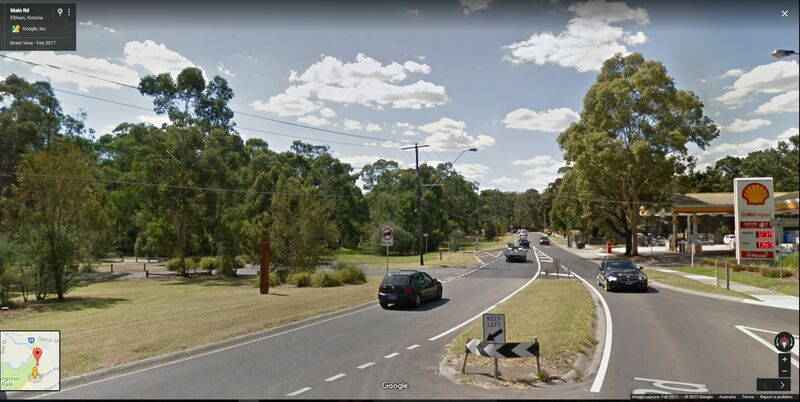 Diamond Creek | Eltham District Historical Society Inc.
#ThrowbackThursday – In our July 6th post on Ansell and Muir’s chicken shop, we stated that because the store stood within the 1934 flood zone, the property was unable to be redeveloped. 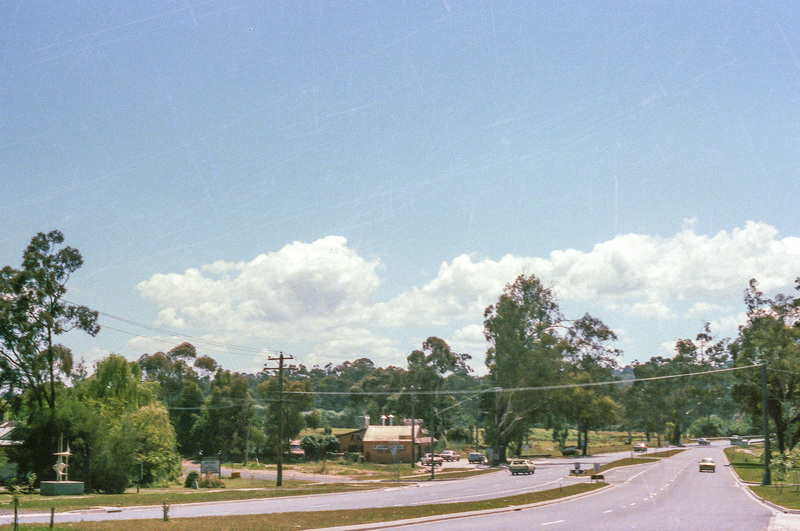 Consequently the former Shire of Eltham acquired the land and the building was subsequently demolished. 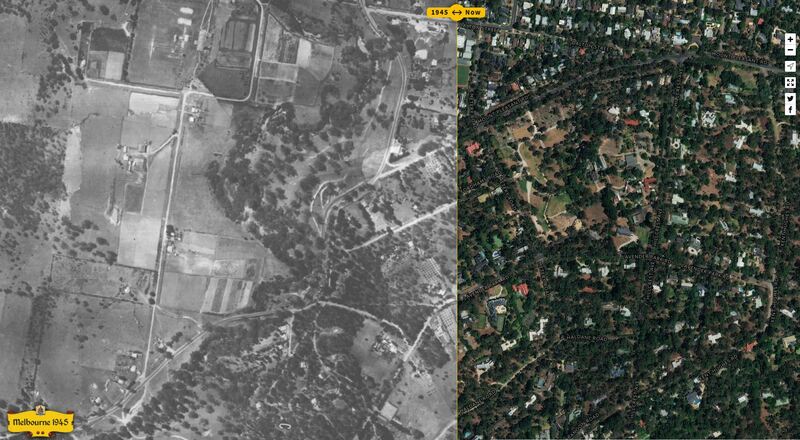 But why did 1934 become the benchmark for our modern day flood zone planning laws? Well today we time travel back to November/December 1934 where we can gain some appreciation of the devastation that flood brought to the district; to its infrastructure and the community. 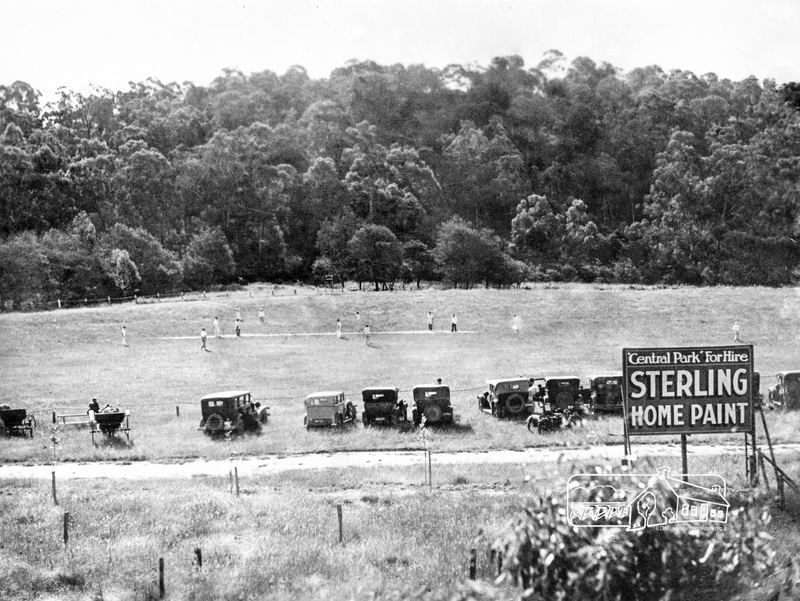 In early November 1934 much damage was done around the Shire from recent rains, detailed at the Council meeting held Monday, 5th November 1934 (1). However, worse was to come. On Thursday evening, November 29th, the rains came again, ceasing the following Saturday morning, December 1st. 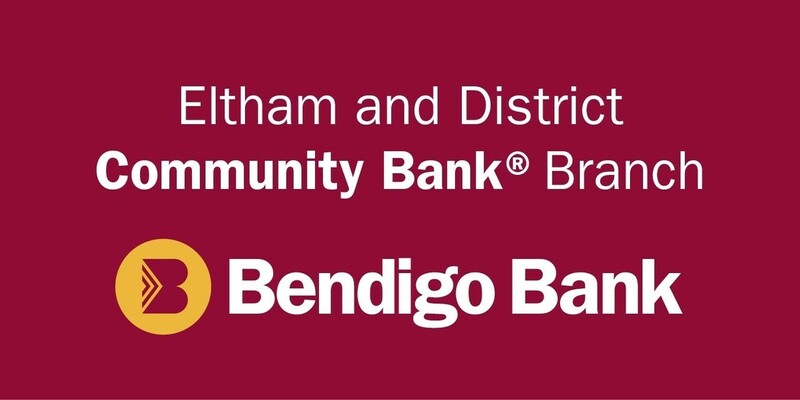 It was reported in the Advertiser on Friday November 30th, more than 8 inches of rain had been recorded at Eltham North that morning; 80% of the annual total and nearly five times that of the previous November (2). The flooding was the highest level recorded in the district for over 40 years. 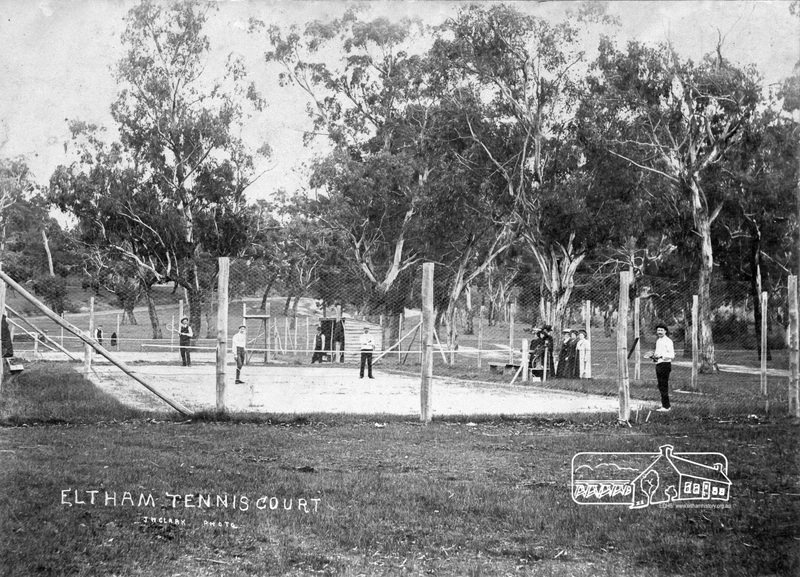 Lower Eltham Park was under 5 feet of water which also covered Main Road for over a mile (3). 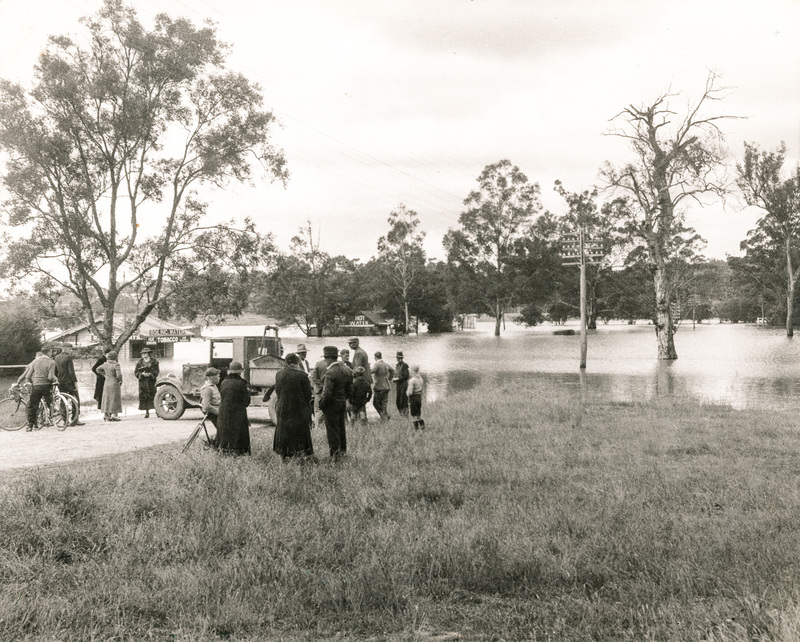 The Diamond Creek rose rapidly engulfing all before it; houses and shops were submerged, livestock and poultry swept away and drowned in the raging torrents, bridges severely damaged or destroyed, fences laid flat and trees uprooted. At 1pm on Friday December 1st, Main Road was under water and cut off. 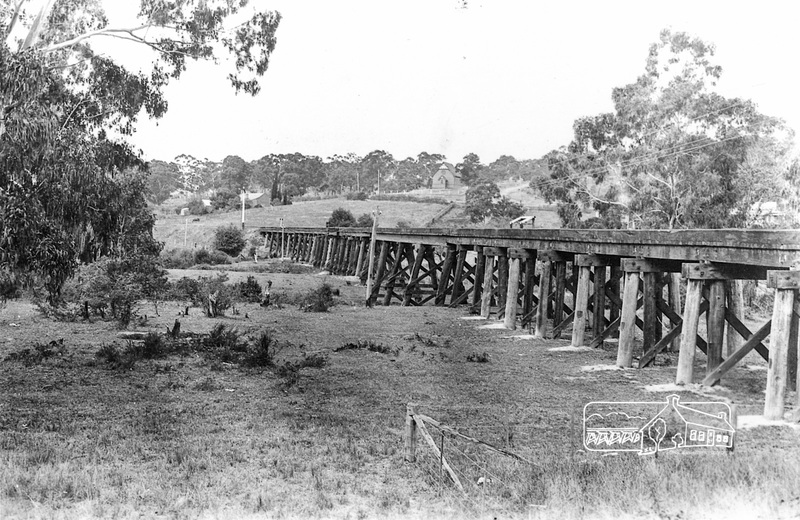 Early in the afternoon, Mr R. Monteith’s ‘bus became stranded near the concrete bridge. The driver and passengers escaped but the bus was stuck there till the floods receded the following Tuesday morning. By that afternoon it was back in service and people could start returning to their homes. What they found was a six inch layer of slime, which covered floors, furniture and bedding; crockery piled up against doors and window openings, bodies of dead pets which had failed to escape. And in some cases, snakes had sought refuge in the houses. Not since 1868 had floods caused so much damage. The levels recorded were now reported as the highest in 60 years (4). At a Special Council meeting held Wednesday, December 12th, the Shire Engineer reported that damage was estimated to be £2,000 to roads and bridges; two large bridges being completely washed away. In today’s terms, based on economic project costs that would equate to almost $4 million. 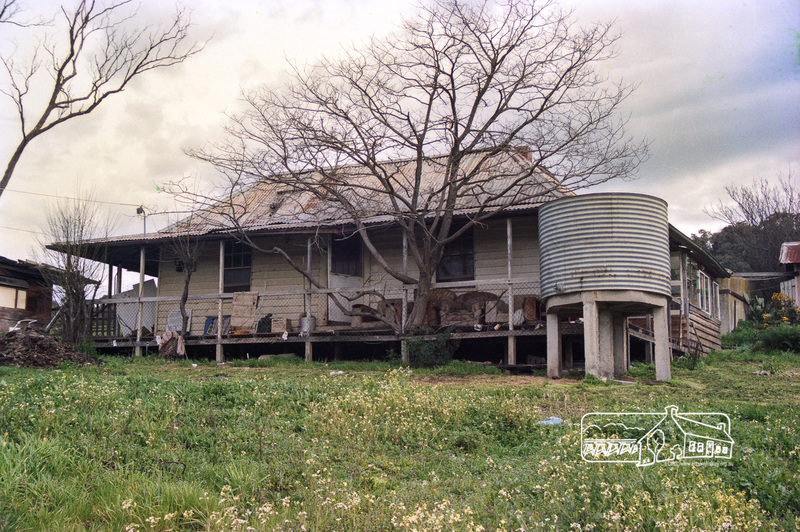 A detailed breakdown of damage throughout the Shire and private property was reported. Council applied for a grant towards the cost of repairs and opened a local relief fund through the Lord Mayor of Melbourne’s Flood Relief program for those whose homes had been inundated. It was noted that whilst other districts also suffered, Eltham Shire was particularly impacted not just through the loss of livestock but also because some of the cultivated land had been totally washed away rendering it unusable in the future for further cultivation (5). Of course over the years Eltham has seen further regular flooding, the most recent significant event occurring Christmas day, 2011. 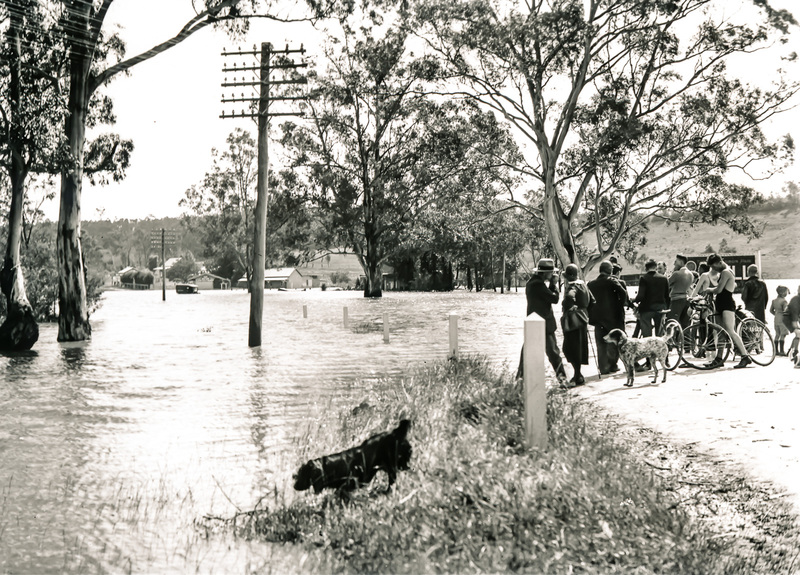 Some of our members can remember the 1934 floods but they were only very small children then. What are your experiences and memories of floods in the area? Do you have any photos to share?